Overwhelmed by all the telecom options? Don’t let vendors and carriers confuse you. Get the truth about the technology you need. Let Truth Comm point you to the perfect solution, get you the lowest price, and handle your project through its complete lifecycle. Want to upgrade your WAN? SD-WAN is the latest revolutionary option that centralizes the management of your network for a more powerful, streamlined WAN. We help you figure out which SD-WAN is right for you, and oversee its implementation. Want more productivity out of your voice users or CRM integration? What about replacing old hardware? UCaaS is the way to go. Video, messaging, collaboration and integration — we work with carriers that do it all. We’ll show you what’s right for your business. Managing connectivity for multiple business locations can be a nightmare, especially when you’re dealing with multiple ISPs. We source and manage your networking projects so you can live worry-free about the superior connectivity of all your branches. Want to know more about how SD-WAN works? 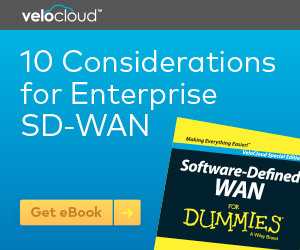 Download your free ebook from VeloCloud and Truth Comm today to learn the best practices for implementing and managing SD-WAN. We have all the facts you need to know.